Data science social enterprise relies on Heroku’s expertise to provide a secure platform for running their apps. Sometimes the best way to solve a problem is to call in the experts. This perspective lies at the core of DrivenData’s social impact mission. DrivenData is dedicated to addressing some of the world’s toughest social challenges by crowdsourcing expertise from the data science community and working directly with social impact organizations. When it comes to setting up infrastructure for their applications, DrivenData leaves this work to the domain experts. The lean engineering team relies on Heroku to provide a fully managed app platform that allows them to focus on what they do best—building innovative applications that bring data science to the social sector. DrivenData partners with a variety of social impact organizations to help them find innovative ways to leverage the power of data in their work. Together, they explore the partner’s data sets, identify opportunities, frame problem statements, and develop hypotheses. The team can also bring in outside experts to tackle the challenge—they host competitions and invite the global data science community to submit their best predictive models or algorithms. Winners receive prizes and recognition, and some get to see their work in action. 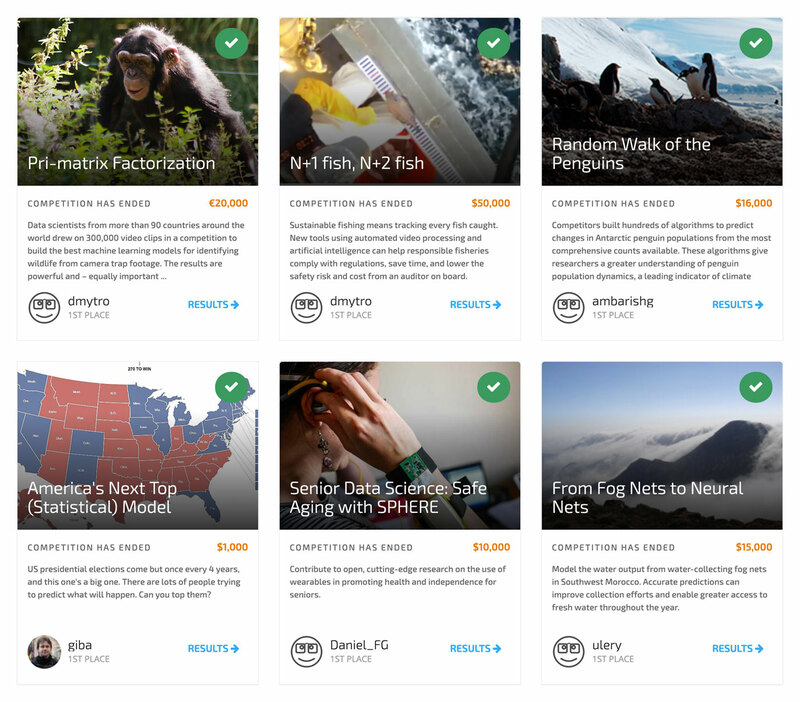 DrivenData helps to package some of the algorithms into open source tools for data scientists, software developers, researchers, and citizen scientists to drive social impact in their own projects. Behind it all lie sophisticated web apps running on Heroku that provide an engaging experience for competitors, social impact organizations, and others interested in this unique space. DrivenData runs online machine learning competitions where data scientists around the world compete to build the best algorithms for social good. One of DrivenData’s recent projects was Zamba Cloud, a wildlife identification app running on Heroku. The challenge: researchers, conservationists, and park managers monitor wildlife using camera traps that capture photos and videos whenever animals pass by. However, this equipment generates an enormous amount of footage that must be reviewed by a human to identify specific animals and species. Often, reviewers would waste huge amounts of time on false positives, such as the movement of tree branches, as they searched for “needle in a haystack” images that could advance their work. DrivenData challenged the data science community to help address this pain point. Data scientists from over 90+ countries participated in the Pri-matrix Factorization competition, drawing on more than 300,000 video clips to train machine learning models that could help automate wildlife identification. 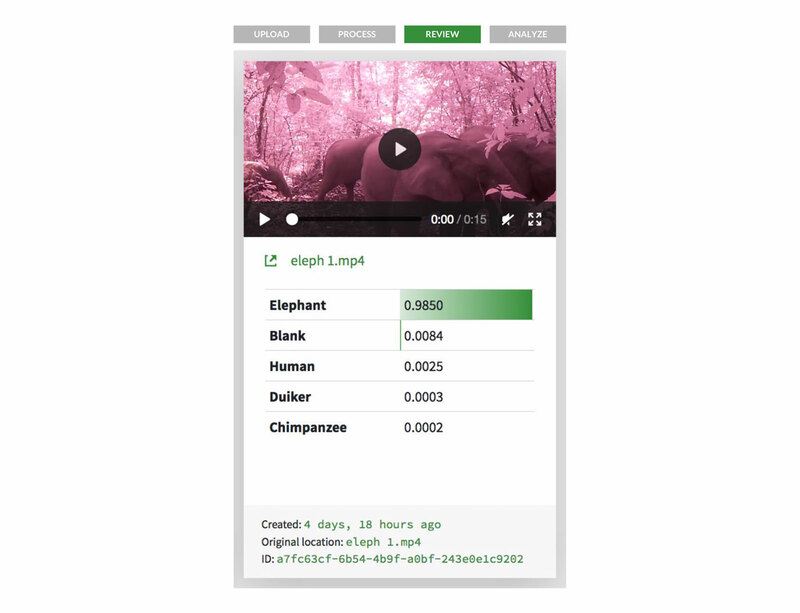 The winning computer vision algorithm became Zamba, an open source Python package and web app that identifies 23 animals in video data. Zamba Cloud closes the loop between data and impact by giving the conservation community a ready-to-use tool to boost their efforts. By deploying it all to Heroku, DrivenData could quickly make their tool available to those researchers who need it most. Sample screenshot from Zamba Cloud. When building their initial web app, DrivenData evaluated a number of infrastructure solutions, including managing their own servers or cloud virtual machines. However, the founders did not want to take valuable time away from developing their app to focus on mundane DevOps tasks such as server configuration and management. They quickly decided that a managed solution was a better fit for their small team, and Heroku was their first choice. Security was another deciding factor for DrivenData. As a data-focused organization, data security and user trust are a top priority, but no one on the team was a specialist in hardening systems from intrusion, or wanted to spend time managing critical updates. Choosing Heroku’s managed platform meant that security was baked into the equation. DrivenData could focus on security at the application layer and rely on Heroku’s security experts to ensure that the platform and its data services remained in full compliance with industry standards and best practices. When it comes to storing their data, DrivenData uses Heroku Postgres for their application data of record, such as user data and competition scores. Like the initial decision to run their web app on Heroku, choosing a managed data service made sense for the small team. The founders wanted to focus on building out their data-driven app, not on getting into the weeds of database administration. Instead, they rely on Heroku’s operational expertise and deep experience with PostgreSQL to ensure that their underlying database layer is up-to-date and secure. Heroku Postgres features, such as backups and rollbacks, allow DataDriven to manage their data as they see fit. Much of the application’s data processing is coordinated through Heroku Redis. When a data scientist submits a new set of predictions to a competition, an automated process evaluates it against the ground truth data from the social challenge that it aims to address. This can be a computationally expensive operation, especially when multiple submissions come in at the same time. Heroku Redis stores these jobs in a queue temporarily, so that the app’s worker dynos can process them as soon as they become available. DrivenData also uses Redis for caching things like competition ranking state. Without caching, every time a user loads a competition leaderboard page, the application would have to parse the entire submission history, identify and resolve tied scores, and enforce a variety of business rules that may disqualify some scores. This is a relatively slow operation, taking approximately half a second. However, storing the leaderboard data in Heroku Redis avoids the expensive calculation completely until a new submission comes in, which results in a much faster page load experience for the user. 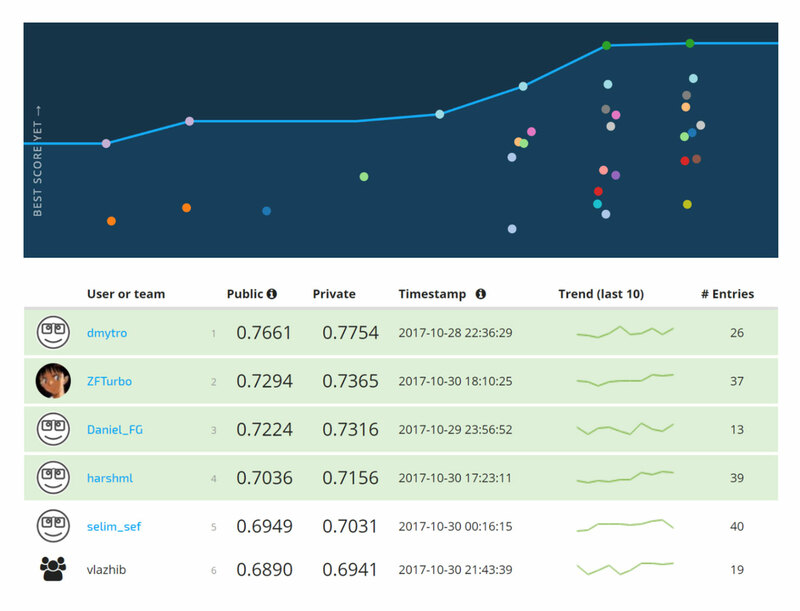 Final leaderboard from a DrivenData competition. As a result of using Heroku, DrivenData’s small team has been able to stay productive and focus squarely on fulfilling their mission. Since launching in 2014, they’ve enhanced their platform with new features that offer greater support for their partner organizations and the data science community. Heroku has also enabled DrivenData to scale their engineering and business operations. The team can set up and run competitions at a fast pace, and thus expand their own capacity to drive social impact through data science. Get Involved in Data Science! Interested in helping to solve social challenges? Check out DrivenData’s current lineup of open competitions and submit your best solution. DrivenData also maintains a number of open source projects for the data science, machine learning, and software engineering communities. DrivenData’s web app is built in Python and stores data using Heroku Postgres, Heroku Redis, and Redis To Go. The team uses SSL for endpoint encryption, and Heroku Scheduler to run jobs at specific intervals. Listen to the Code[ish] podcast “Solving Social Problems with Data Science” to hear the DrivenData team go deeper into the technical aspect of their work. Are you part of a small team looking to build our your vision quickly? DrivenData chose Heroku due to the platform’s managed services that allow them to focus on their core while maintaining data security and compliance standards. For more information, contact Heroku today. DrivenData brings the transformative power of data science to organizations that are tackling some of the world’s greatest social challenges. Their projects help to increase social impact in a variety of sectors, such as international development, health, education, research and conservation, and public services. DrivenData partners with social organizations to help them explore their data’s potential, and then engages the global data science community to develop the best statistical model that can make a difference. For more information, visit drivendata.org.